The full moon, sometimes called the Harvest Moon, is a time of celebration. It’s the time to play and celebrate feeling alive. 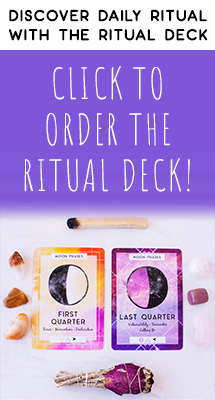 You’ve done the work to manifest your intentions through the New Moon, the 1st quarter moon, and the Waxing Moon, and now it’s time to play, enjoy, and practice gratitude. Not sure where we are in the lunar calendar? 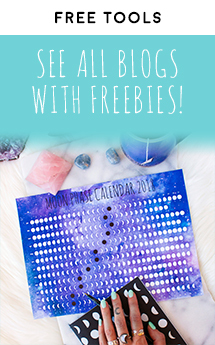 Download your free printable moon phase calendar here. The full moon is associated with the element of fire and the season of summer. 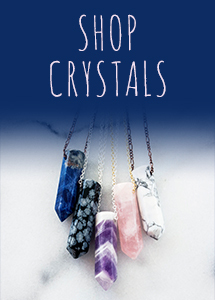 This is the peak: it’s a time when your energy is the highest and you probably feel creative. 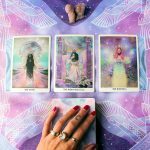 On the days leading up to the full moon, your energy and creativity have been growing. They reach their peak on the full moon, and begin to lower on the day after the full moon. You can read about five more ways to celebrate the full moon here. 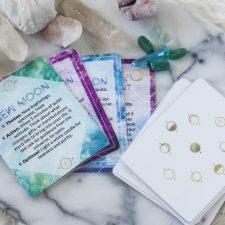 I associate this full moon energy with the World card in the tarot — so embody that energy! What does it mean to you? 1. 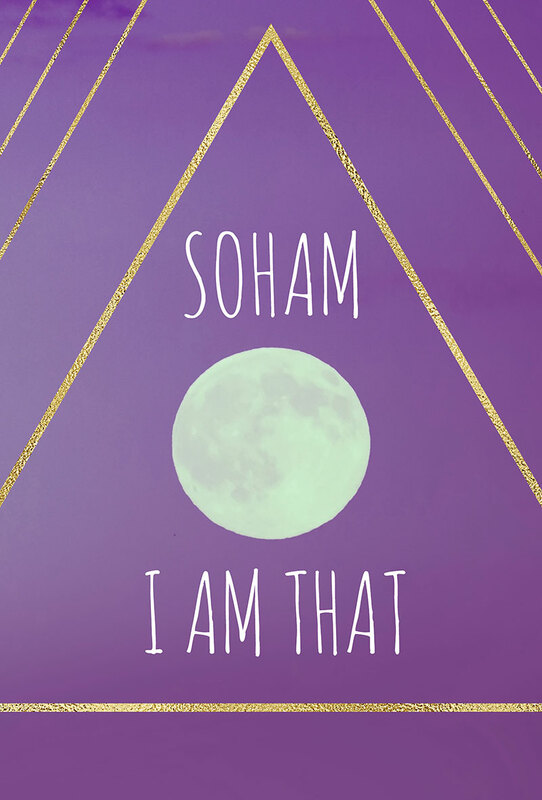 Soham. 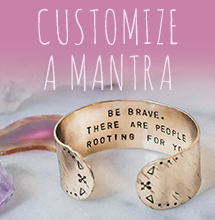 This Sanskrit mantra, meaning I Am That, is the energy of the World card again. It’s a reminder of gratitude, of your fullness, of your completeness, and of your divinity. 2. Wahe guru. This Kundalini mantra is about ecstasy. It refers to the indescribable bliss from being in your soul truth, from awakening, from moving through darkness to light. Bhramari Pranayama, or humming bee breath, feels like therapy. It’s such the perfect medicine for a high-energy time like the full moon, when your thoughts might be running a mile a minute. Use it to calm your mind, tune in, and ground your energy before you start to flow. In a comfortable seat, place your thumbs in your ears and extend your other fingers lightly onto your face (just rest them there, don’t press into your face!). Take a deep breath in through your nose, and as you exhale make a humming sound in your throat. You’ll feel the vibration instantly quiet your mind. Repeat this cycle for at least 10 rounds of breath. 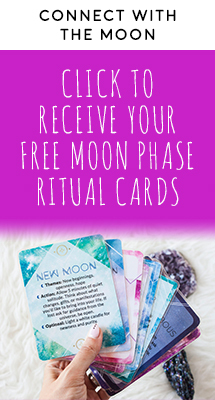 If you would like to add more moon phase rituals into your meditation practice, read about more here. Shake your body. Shake your left arm vigorously. Then shake your right arm. Shake your legs. Shake your entire body. Throw your hands over your head and shake as hard as you can. Then pause. Breathe. Notice how you can feel the energy shifting. Cat cow flow. Yoga with Adriene likes to call this one “drunk cat cow.” Start in your regular cat cow, slowly flexing and rolling your spine with your breath, and then start to take your hips in circles or in a figure 8 shape. Find what feels good for you, and linger in any spots that need extra love. Wild Thing. Something about this pose just feels so joyful to me. 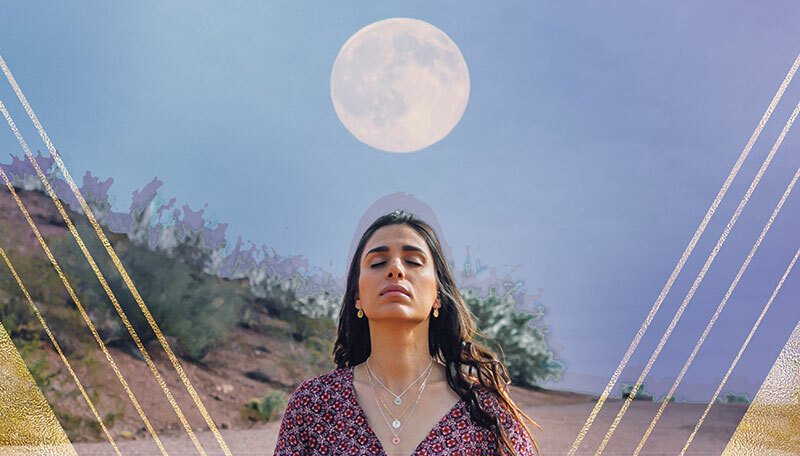 It’s a beautiful heart opener, but it also requires that you stay super active and engaged through your core, arms, and legs, connecting you with this moon time’s element of fire. Twisted lunge. This pose lights the fire in your belly and detoxifies, helping you literally detox your organs as well as release anything that’s no longer serving you. 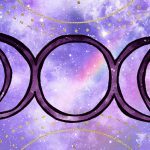 On the full moon, we’re about to enter the beautiful waning moon cycle of shedding and release. Twists help you prepare for that energy. Warrior 2. Feel your strength and power in this pose. Notice how your feet and legs support you. Notice how your rib cage and belly fill with beautiful, sweet, life-sustaining breath. Extend gratitude to your strong body, to your strong mind, to your strong breath. Half-moon pose. Connect with the moon’s energy in half-moon pose. The beautiful thing about balancing poses is that they really force your mind to focus and quiet, because if you let it wander you’ll lose your balance and fall. Use this pose to center you, and feel the lunar energy flowing through your body. Crow pose. If this arm balance is in your practice, go for it. If it’s not, play! Experiment with lifting one leg up, releasing it, and then lifting the other. Rock back and forth on your arms, and allow the energy of play with our expectation to take over. Camel pose. Back bends are extremely energizing, and a back bend like Camel pose is also such a beautiful heart opener (if wheel is your practice, you might like to try wheel here as well). 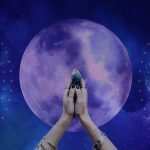 Feel how your legs are firmly rooted to the Earth, while your heart reaches towards the moon, opening and receiving all the wisdom she has to offer. Whatever poses feel most joyful to you. 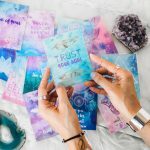 Use your intuition. What poses light you up? What is your body craving? Get creative, connect with your body, and move intuitively. 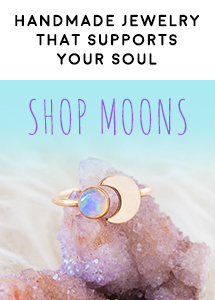 Want wearable reminders of the divine lunar energy of the moon? 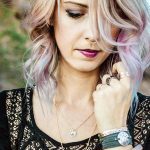 Shop moon phase jewelry here.